Phobias are an intense irrational fear of something that does not actually cause us danger. Think about seeing a large snake in your backyard. Most people would react to the sight of that with fear and their heart rate would increase. On the other hand there are people who love snakes and might even enjoy having one as a pet. It is perfectly natural and there is nothing wrong to feel fear or anxiety when you see a snake. However, it is a problem if that fear becomes so strong and intense when you just see a picture or another person mentions them. When fear and anxiety are this intense when you are not facing an actual danger then you might be struggling with having a phobia. The fear of snakes is called ophidiophobia. This describes intense fear of snakes not only when they are actually around but also when someone just sees pictures of them or someone hears them being mentioned. A person that has ophidiophobia might feel severe anxiety and have a panic attack just from seeing a snake on television. To the average person just seeing a snake on television would not cause a panic attack and they might think that doing so would be irrational. But to a person that has a phobia of snakes their anxiety and fear feels very real to them. As human beings fear is a natural emotional response to alert us to something being potentially dangerous. If that fear is real it can help us evade something that could actually harm us. Fear becomes a problem when it is irrational and excessive. It becomes considered a phobia when the fear and anxiety gets in the way of a person’s daily functioning and impairs their psychological well being. In more simples terms, it is considered a phobia if it is getting in the way of you living your life or accomplishing the things you want. If you are struggling with a phobia do not give up hope! The good news is that phobias can be overcome with treatment. 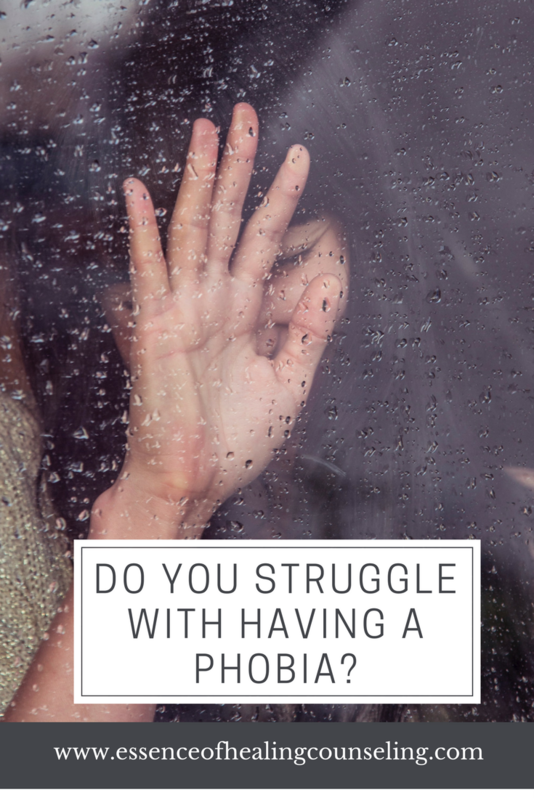 As a therapist and counselor I have successfully helped clients become armed with the tools to beat their phobias and have seen first hand that it can be done. Cognitive Behavioral Therapy is a type of therapy that teaches people how to challenge and change thoughts that cause the intense fears that lead to their phobias. Cognitive Behavioral Therapy also arms people with techniques to calm and relax the body in order to reduce all that terrible anxiety and stress that comes along with struggling with a phobia. Two really common phobias that people have are a fear of flying and a fear of the dentist. Check out my two blog articles by clicking here on the links How to Overcome Your Fear of Flying and How to Overcome your Fear of the Dentist to learn more about these two common phobias and tricks on how to overcome them. Roberta Alves is a therapist and counselor at the Essence of Healing Counseling with an office located in Ft. Lauderdale. She is a Certified Anxiety Specialist and has a high success rate with helping her clients overcome anxiety. She uses a scientific and evidence based type of therapy called Cognitive Behavioral Therapy. Research has shown that Cognitive Behavioral Therapy is proven to be extremely effective in treating anxiety. Roberta is truly passionate about the work she does and loves serving her clients in Ft. Lauderdale and the surrounding South Florida areas. If you want to learn the proven techniques to gain back control of your life call 954-393-2930 to schedule an appointment today.